It has been on my list of things to do since I started my job as Foreshore Ranger a year ago. And finally, over the last couple of weeks I have found a few hours here and there to build some nest boxes. In this first attempt I have made sixteen. Five of which are designed for small parrots like eastern rosellas, with the other eleven for micro-bats. The requirement for nest boxes is due to a lack of natural roosting and nesting resources. Their installation forms a small part of our efforts to restore the degraded Coastal Moonah Woodland (CMW). These nest boxes are designed to replicate the hollows and crevices that occur naturally in old trees. Issues relating to health and safety and aesthetics often influence the removal of old trees long before they reach the most important stage of their life cycle – decay. Consequently there are limited resources for hollow nesting birds and mammals, which has a knock on effect throughout the ecosystem. From my observations and the analysis of past survey data, it is apparent that only a few of the bird species found in this habitat are hollow nesters. Most that breed along the reserve such as silver eyes, red wattle birds and thornbills, build their own delicate constructions in tree forks or in the dense under-storey of shrubs and climbing plants. Eastern rosella’s are one of the few visiting hollow dependent species. They can be seen feeding on the coast banksia and sparsely occurring eucalyptus, but they will not breed here due to the lack of nesting opportunities. The five bird nest boxes, with dimensions suited to a rosella’s requirements, will be installed at the Cameron’s Bight reserve, where the open landscape character and larger trees are found. The bat boxes which come in three sizes – small, large and double-storey – are designed for insectivorous micro-bats. There are many suitable locations to install these, from the woodland on top of the White Cliffs, to the larger open trees of the camp grounds, or the Moonah dominated bush that colonises the secondary dune system. Unlike in England, there seems to be very limited information or effort surrounding bat conservation in Australia. When researching suitable designs I found one or two examples for Australian bats compared to over seventy designs from the UK. Based on the species that have historically been recorded on the reserve (Gould’s wattled bat, white-striped free tailed bat, little forest bat and lesser long-eared bat) I have taken the necessary measurements for entry holes and followed familiar designs. Australia is home to the large fruit bats (flying foxes) and micro-bats, both nocturnal flying mammals. A classic example of convergent evolution, where natural selection has arrived at the same solution through unrelated means. Fruit bats evolved from an ancestor similar to a lemur, whilst micro-bats evolved from a tree climbing shrew, both independently modifying the structure of bones we have in our hands to form a wing with a delicate skin membrane. Fruit bats roost in large colonies in the tens of thousands, hanging upside down in groves of trees during the day, taking off simultaneously and eerily at dusk and covering hundreds of kilometres in search of nectar and fruit. The nearest colony is in the Dandenong Ranges, 50 or 60 kilometres to the north, so feasibly these animals could travel here to feed. Micro-bats are far more widespread but less obvious and travel shorter distances in search of prey. They can be seen flitting along natural corridors in the canopy during the warmer months. Depending on the species, emergence from the daytime roost varies either side of sunset. They roost in tree hollows, caves, crevices, bird’s nests or the cavities in human made structures, including residential dwellings. They use echolocation to navigate, which aids them in their predation of flying insects such as mosquitoes and moths. It is this that makes them such a vital cog in the system, each bat feeding on up to 3000 insects per night. 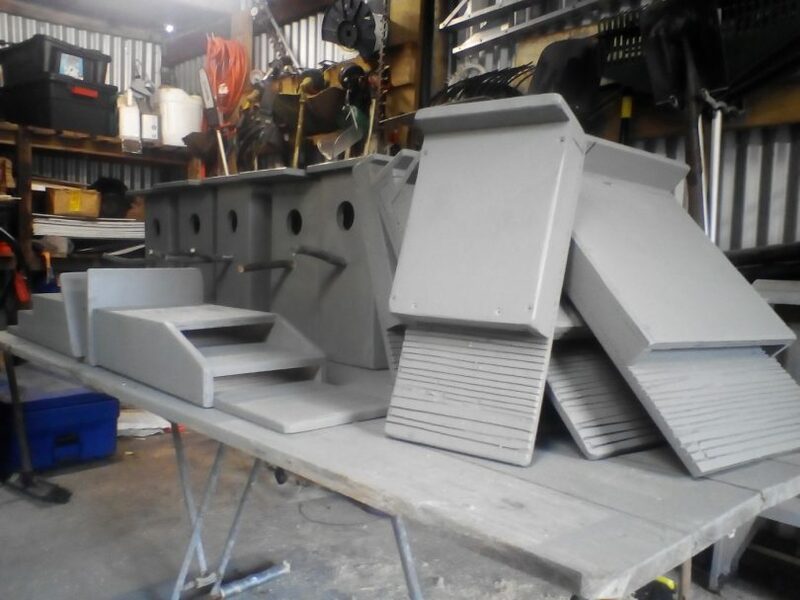 The bat boxes will hopefully increase the roost resources for those species that already exist along the foreshore reserve, and possibly encourage the presence of additional species. It will be interesting to monitor the bird and bat boxes over the coming breeding season to evaluate their usage. Hopefully time and budget will allow for more to be constructed, to service a wider area of the reserve. I hope to develop stronger ties with the local community through the establishment of a conservation volunteering group, which will provide help with the building of more boxes and also assist with undertaking regular monitoring surveys. About the Author: Dan Reed studied Wildlife Conservation and Ecology in Hampshire, building on a life long interest in the natural world. He worked as a researcher and Ecologist on behalf of specialist consultancies and charities across England from 2010, before emigrating to Australia in 2015. 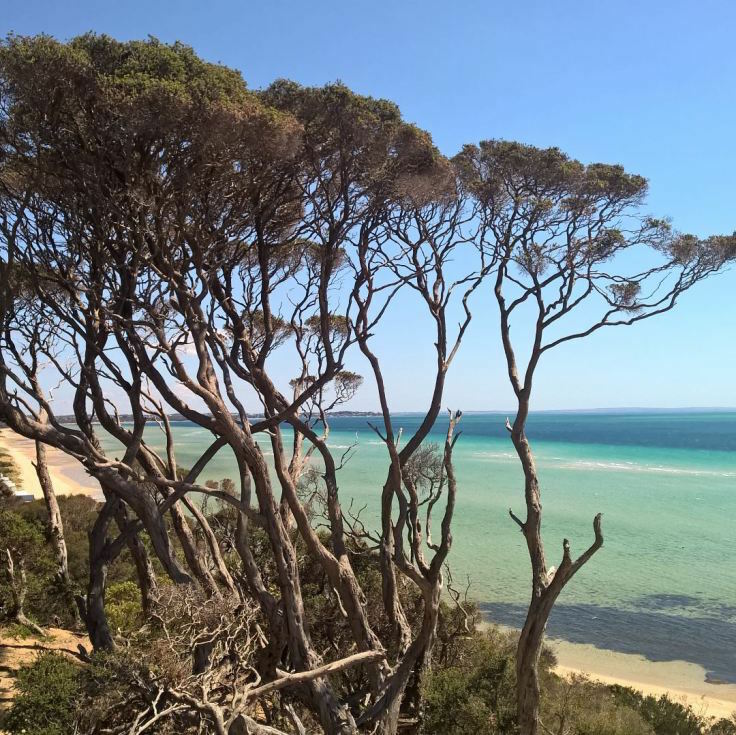 Following a year working for an environmental service company undertaking bushland regeneration around Victoria, Dan is currently working as a ranger on a coastal reserve on the edge of Port Phillip Bay managing remnant coastal Moonah woodland.